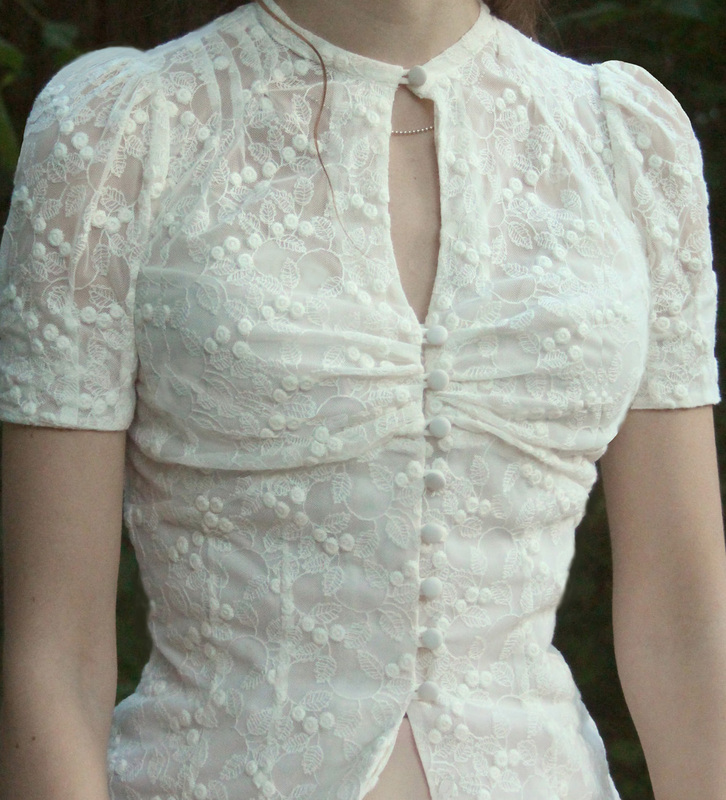 Beautiful blouse in well tailored linen/vanilla white cotton-poly. lace. 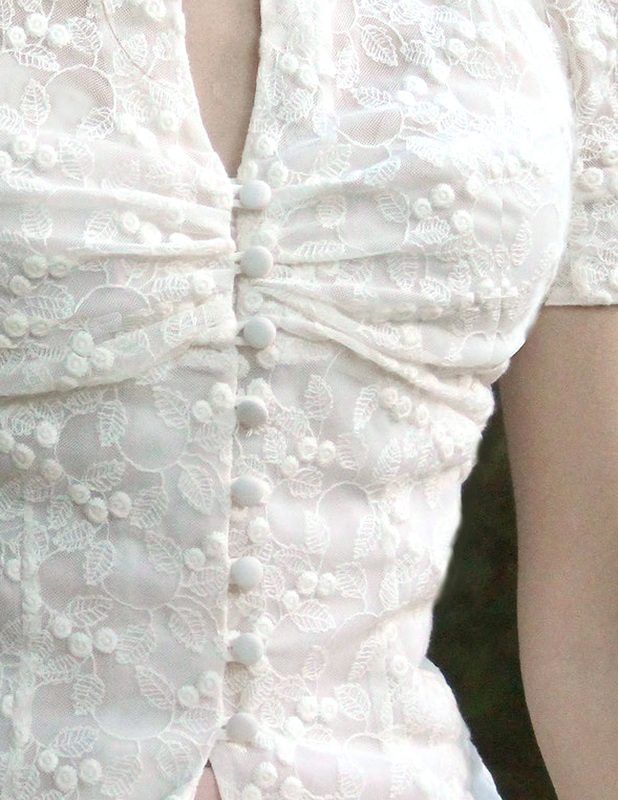 The style with inspiration from the early 40´s has covered buttons and puff sleeves. lining inside from the bottom hem up to the bra line.